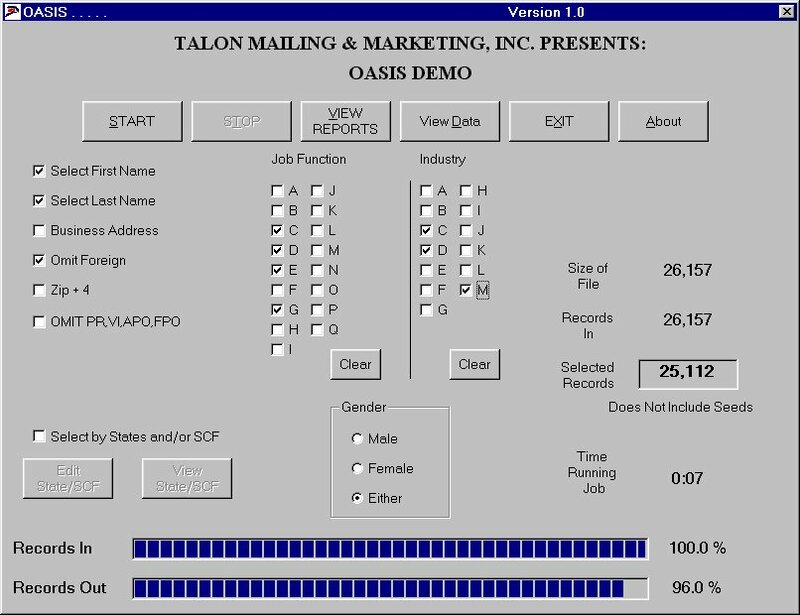 Welcome to the Talon Mailing & Marketing March 2016 Newsletter. Direct mail can produce impressive results. Here’s five ways to use direct mail to boost brand awareness and generate impressive response rates in 2016. While some forms of marketing are fleeting and forgotten, a postcard, brochure, or catalog can serve as a lasting reminder of a marketing message. Direct mail can compel recipients to act, attract new customers, increase customer loyalty, boost brand awareness, reactivate dormant accounts, and deliver profitable results. For the past several years, businesses of all sizes have focused on engaging consumers with sophisticated digital marketing campaigns, but marketers are now rethinking their strategies and incorporating more direct mail in the mix. Direct mail is a very effective marketing tool because it can compel recipients to act, attract new customers, increase customer loyalty, boost brand awareness, reactivate dormant accounts, and deliver profitable results. One key reason for direct mail’s popularity is that it is able to do things more effectively than other types of marketing. Many consumers read direct mail because they prefer content that they can experience with more than just their eyes. Unlike e-mail, television, or radio ads, direct mail is a physical item that a consumer can hold in his/her hand and keep for a period of time. While some forms of marketing are fleeting and forgotten, a postcard, brochure, or catalog can serve as a lasting reminder of a marketing message. InfoTrends recently completed a study entitled Direct Marketing Production Printing & Value-Added Services: A Strategy for Growth. This study surveyed more than 1,800 consumers in the U.S. and Western Europe. 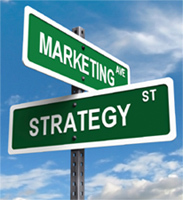 In-depth interviews were also conducted with over 50 direct marketers and 20 print service providers. The study highlighted why direct mail is so integral to the media mix and why it needs to be a focus for print service providers in the future. This section includes key findings from our 900+ consumer respondents in the U.S. to explore why direct mail will remain a critical channel for reaching consumers. 56% who responded to direct mail went online or visited the a local store. 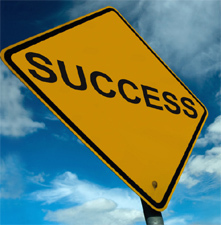 62% who responded to direct mail made a purchase. Since consumers engage with both print and e-mail, communicating with them using an integrated campaign will drive higher results. In addition, direct mail can be a part of an interactive customer experience when used in conjunction with mobile devices and associated mobile apps. There are a number of tools that can enable a printed piece to trigger an interaction from a smartphone, including image recognition, augmented reality, NFC tags, and quick response codes. More and more direct marketers are integrating interactive elements with print to connect a consumer to a video or mobile-enabled website so they can learn more about a product or service, or creating mobile landing pages that enable consumers to take advantage of a coupon or discount. In addition, a direct marketer can point the consumer to a website or a personalized URL that can be accessed from a PC. Firms of all sizes have the ability to interact with customers on a first-name basis. It has become much easier to collect, maintain, and store in-depth customer information. The technology is readily available to help marketers use this important data to communicate with customers on a personal level. Research shows that consumers are influenced by personalized communications. Of the U.S. consumers surveyed by InfoTrends, over 84% reported that personalization made them more likely to open a direct mail piece. Personalization has become a powerful direct mail tactic that is relatively easy to incorporate. Survey Results: Does the customization or personalization of a direct mail piece make you more likely to open/read it? Marketers want to be able to measure communication effectiveness so that they can improve campaigns, customer conversions, and overall return on marketing investment. 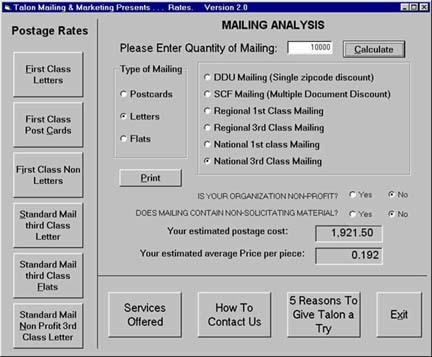 Direct mail is measurable, so marketers can test offers and make the appropriate adjustments to improve results. One to one communication really works – but you need to make it ultra relevant to the individual. Old hat name personalization is vastly inadequate because it fails to fully utilize your client data insights. There is no excuse now for marketers failing to communicate one-to-one with their clients – with attention grabbing headlines; relevant printed images and offers; and varying tone of voice, text size and contrast. Today’s marketing communications need to become dynamic making the most of all of the personalization opportunities that are now available. Consumers are increasingly demanding and expecting a high degree of personalization. Use whatever you know about your clients to reach out to them. Adding a name and address obviously gets your mail delivered, but marketers need to use data insights to create attention grabbing, colorful headlines, individualized to every customer to improve response rates. Know who you are reaching out to – and show it. Information that we hold about our clients must be used to best effect to tailor the offers that we send to each client and also to avoid sending irrelevant communications which may be seen as ‘junk’. For example, if a vet wanted to reach out to dog owners with a dog food offer and to cat owners with, for example, a flu vaccine offer, then data flags can be used to select the right pet owners for the respective offers which can be produced – all in-flight – in one campaign. Update your data regularly and avoid sloppy mistakes which just annoy consumers. Outsource the cleaning if necessary – as there is no excuse today for not utilizing suppression files to delete ‘gone aways’ or for removing the recently deceased from your communications. For example, if your client has a young family, then include pictures of young families. If it’s a retired couple, then use shots of older individuals enjoying various activities in retirement, or if they are much older and possibly bereaved, then avoid images of couples and instead use groups of elderly people. So, if for example they are aged over 55, then it is essential to use larger print and greater contrast. Think about how the customer feels, for example, if you are offering a highly sensitive service such as laser eye surgery to a 55-year-old man who is struggling to read, then don’t include images of a 22-year-old female wanting vision correction in order to drive. It takes some time to win customers and marketers have to work just as hard to retain them. Use your data to make the most of every opportunity to connect with your customers again and again. For example, add soft touches into your communication program to send thank you, birthday or anniversary cards to mark their loyalty to your business. This will make your clients feel important and valued, and recommend you. Use data insights for every client to produce bespoke communications with engaging headlines, relevant imagery and offers that fit each customer’s profile. Communicate intelligently in response to client concerns, in anticipation of a forthcoming event, on a particular anniversary –communications should be regular, relevant and engaging. link.nyc - Provides super-fast, free public Wi-Fi, phone calls, device charging and a tablet for Internet browsing, access to city services, maps and directions in New York City. anchor.fm - A free iPhone app that makes it easy to broadcast short audio clips to a global audience in seconds. Your listeners can talk back, sparking instant group conversations that were never before possible. When not recording, listen to authentic humor, knowledge, inspiration, and debate from Anchor’s global audience. protonmail.com - Secure Email Based in Switzerland. Secure email with absolutely no compromises. Get your free encrypted email account today. hatchnetworks.com - Rather than one giant social network, Hatch lets you create selective networks to share with exactly the right people. Create a channel for families, groups, and events. joinzen.com - Checkout with just one tap from over 100,000 stores. Say goodbye to lengthy checkout forms. Shop in seconds, hassle-free! seeso.com - Unlimited comedy streaming service, AD-FREE, 24-7. Only $3.99 per month! shortfil.ms - The best short films on the web. There's a variety of genres and they're adding more films every day.